Millions of artists, designers, writers, performers and creators have the talent, the drive, and the courage, but are unsure how to turn a side income into something full hustle. The false choice is that you’re either a starving artist or a sell out, but we know there’s another way. Individual creators struggle with business, but maybe we never taught them business the way they wanted to be taught. Culture Hustlers is a 100% experiential school. We personally mentor creators into entrepreneurs thru true stories and crowd sourced help. We’ve curated over 50 true stories of artists, designers, performers, writers & makers going from side income to full hustle. Each story contains a photo essay, and a podcast and/or documentary that teaches an entrepreneurship topic. As mentors, we assign case studies to our students, but we also contribute to them by adding comments, timestamps, and even making new ones! The essential topics in the entrepreneurial journey are arranged as 12 scenes in a 3 act story! You pick your strongest topics to teach, so together we contribute to the complete mentorship of a individual creator. Each topic has a lesson plan with resources, vocab, stories, and workshops. We’re adding advanced topics (sequels?) in 2020 in finance, marketing, legal, intellectual property, and more. 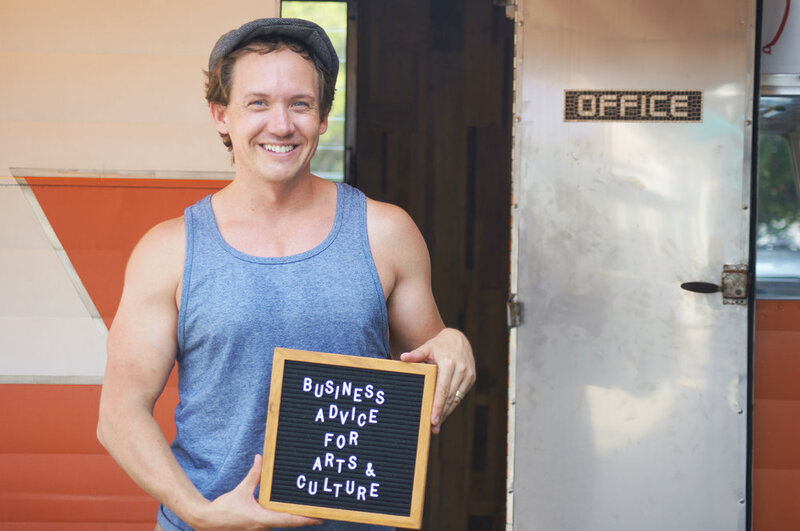 In 2016, Lucas Spivey built the Mobile Incubator and traveled across 42 states, meeting over 3,000 creators and mentors, to find the best models of teaching entrepreneurship to creators. Their true stories inspired him to create a 100% experiential school, where the side hustlers can connect with the amazing mentors he met on this journey. Fill out a quick application!